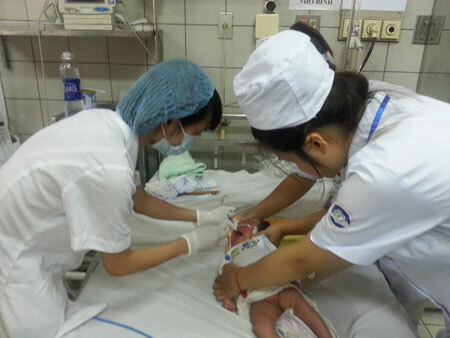 HA NOI (VNS) — The Ministry of Health will take measures to improve healthcare worker's attitude towards patients. "Many medical staff do not follow professional processes and have inappropriate or negative attitudes towards patients at hospitals," said the Minister of Health, Nguyen Thi Kim Tien, at an on-line conference yesterday. "A series of measures should be implemented immediately to improve medical staff attitudes for the satisfaction of patients," said Tien. Tien said that customer-care units would be established in the examination departments at hospitals to receive and provide instructions to patients and their families. She said an existing hotline system would also continue to receive and handle people's feedback about quality of examination and treatment. The ministry will set up more mailboxes at convenient places in hospitals to collect people's feedback or complaints, according to the health minister. A spokesman for the ministry's Medical Service, Luong Ngoc Khue, said that hospitals would sign commitments on improving health workers' attitudes with the health minister or provincial health department directors. Patients would be also be helped by young doctors and volunteers through a campaign to be launched by the Young Physician Association, added Khue. Health-sector statistics reveal that the ministry ‘s hot line system received nearly 8,366 calls during the first quarter of this year, of which only 3,448 calls were considered appropriate. There were 946 calls relating to complaints about the degrading medical infrastructure and 929 relating to professional processes by health workers. About 726 calls reported inappropriate attitudes and behaviour of health workers. The ministry disciplined more than 150 of these health workers.